THis looks great! I’m going to try it this weekend! Thanks! that looks soooo good! really cooling on these supa hot days. 102 degrees…really? 😦 it makes me sad. 🙂 Why are you sad? Because of the heat? A light, refreshing soup like this sounds like a cool bowl of heaven right about now. 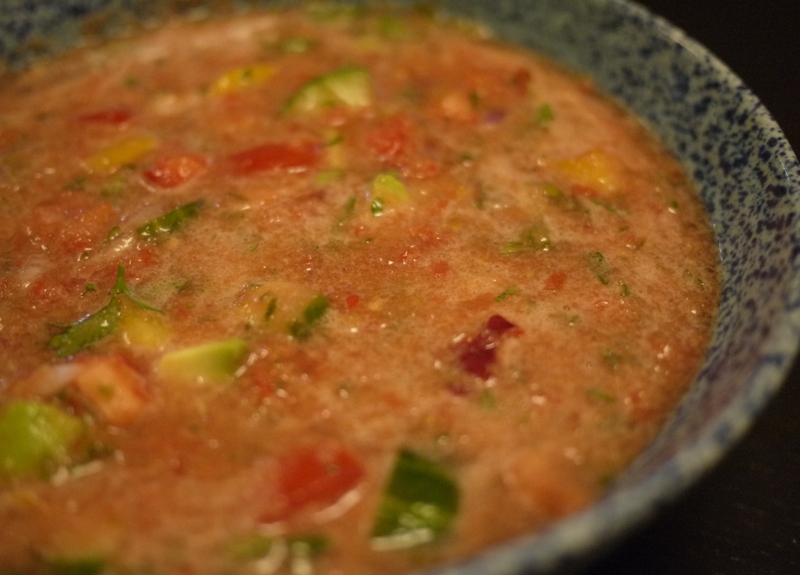 Gotta go stock up on tomatoes- Gazpacho is an absolutely must in the heat of summer! Absolutely 🙂 Enjoy! By the way, I’ve been saving a Cherry Yoghurt in my fridge for ages just to make your brownie recipe from your book! Still have never gotten to it…They sound great though!